Menubar application to aid you in your mindfulness practice. Is there a better alternative to Mindfulness Bell Menu Bar? Is Mindfulness Bell Menu Bar really the best app in System category? 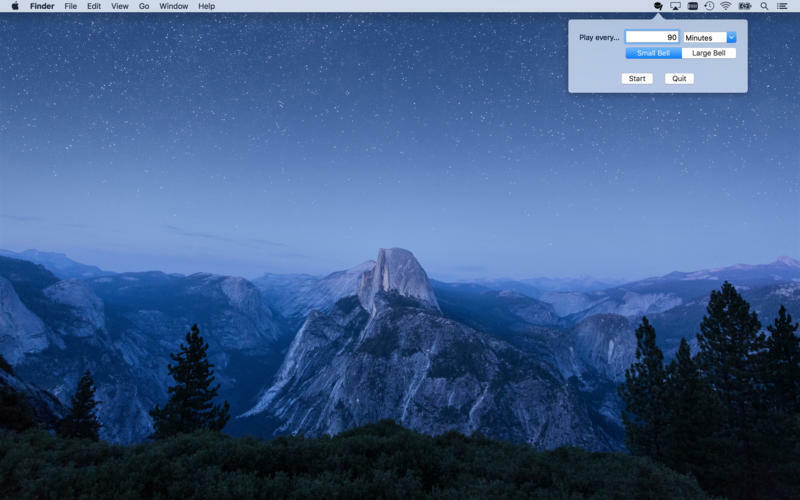 Will Mindfulness Bell Menu Bar work good on macOS 10.13.4? Mindfulness Bell Menu Bar is a menubar application to aid you in your mindfulness practice. Simply choose an interval and a small or large bell will sound at the prescribed time to invite you to take a moment to observe the breath. Mindfulness Bell Menu Bar needs a review. Be the first to review this app and get the discussion started! Mindfulness Bell Menu Bar needs a rating. Be the first to rate this app and get the discussion started!